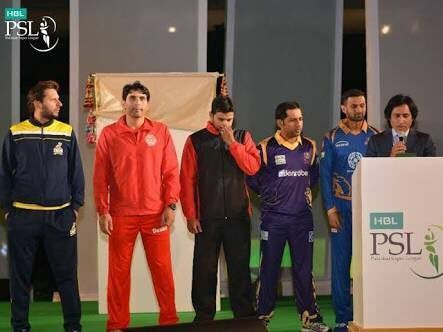 The draft for the third edition of the Pakistan Super League is underway at the National Cricket Academy in Lahore. The season will be played in 2018 and Pakistan Cricket Board chairman Najam Sethi has already revealed that his board is committed to holding the finals in Karachi next season. Coming back to the drafting process, the third season will see the debut of a new franchise in Multan Sultans. Shoaib Malik has been appointed the captain, while former Australian all-rounder and currently the coach of Sunrisers Hyderabad Tom Moody has been roped in as the coach. The five teams were given the provision to retain nine players from their original squad. However, debutants, Multan were allowed to pick their own set of nine players from the pool of released players. The purse provided to each time amounts to USD 1.2 million. Platinum category players, which is the highest category of players, will earn between $140,000 and $200,000, Diamond category players have a minimum price of $70,000 whereas the Gold category players have a minimum price of $50,000. The minimum cap for Silver category players and Emerging Category players is set at $22,000 and $10,000 respectively. Multan Sultans: Shoaib Malik, Kieron Pollard, Kumar Sangakkara, Sohail Tanvir, Mohammad Irfan, Junaid Khan, Sohaib Maqsood, Irfan Khan, Kashif Bhatti, Imran Tahir, Darren Bravo, Ahmed Shehzad, Mohammad Abbas, Nic Pooran, Abdullah Shafiq, Saif Badar. Peshawar Zalmi: Mohammad Hafeez, Wahab Riaz, Shakib al Hasan, Kamran Akmal, Darren Sammy, Hasan Ali, Haris Sohail, Chris Jordan, Mohammad Asghar, Dwayne Bravo, Tamim Iqbal, Hammad Azam, Saad Nasim, Taimoor Sultan, Sameen Gul, Ibtisam Sheikh. Karachi Kings: Shahid Afridi, Usman Khan, Usama Mir, Khurram Manzoor, Ravi Bopara, Imad Wasim, Babar Azam, Mohammad Amir, Mohammad Rizwan, Colin Ingram, Mitchell Johnson, Luke Wright, David Wiese, Tabish Khan, Mohammad Irfan Jnr., Hasan Mohsin. Lahore Qalandars: Umar Akmal, Sunil Narine, Brendon McCullum, Fakhar Zaman, Yasir Shah, Cameron Delport, Aamer Yamin, Bilawal Bhatti, Sohail Khan, Chris Lynn, Mustafizur Rahman, Bilal Asif, Raza Hasan, Sohail Akhtar, Shaheen Shah Afridi, Ghulam Mudassar.